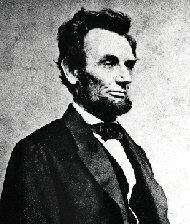 The rejoicings over the return of peace (Civil War) had scarcely reached their fullness when the terrible news of Lincoln's assassination struck the city of Newark, as it did hundreds of others throughout a great part of the land, a stunning blow. "We have no heart to contemplate the event," said the Newark Journal, which had throughout the war been out of sympathy with the President's war policy. "For whatever objections we may have editorially expressed in times past in reference to the President's policy, recent important events had led us, in common with the entire Democratic press, to a higher appreciation of the man than we had ever before held." "The grief of the people," said the same newspaper, "at the death of Mr. Lincoln is deep and intense. The evidences of public mourning are all around us; in the streets, in the churches, at places of private business and on the apparel of our citizens." On Monday, April 10, after the announcement of the surrender at Appomattox, the city had given itself over to the expression of intense relief that the long, cruel struggle was at last over, and the common exuberance vented itself in the ringing of bells, firing of cannon, blowing of shop whistles, etc. That night, a great "jubilee" was held in Library Hall, which was densely packed with people, and with thousands left upon the streets unable to get inside. The whole community was quietly recovering from the celebrations and preparing to pull itself together to enjoy the blessings of peace returned--when suddenly the telegraph told of John Wilkes Booth's dastardly act. The flags dropped sadly to half mast, and the people walked the streets by day and night with pale, drawn faces. Between the lines of the newspaper narratives of the daily events, we of today (1913) may read ourselves into a vivid appreciation of the undeniable fact that Newark felt the loss of President Lincoln as keenly as any community throughout the sorely-tried Union. The Post Office, the building occupied by the Provost Marshal, the Ward Hospital and other public buildings, in common with many homes were quickly draped in black and white. Legends like these appeared on many structures: "We Mourn Our Loss," "The Nation Mourns," " The Fathers of Our Country Have Met." On Thursday, April 20, 1865, the funeral exercises were held here in Newark, simultaneously with the ceremonies in Washington. The schools were closed, and all business suspended. There was a most imposing procession, with Major William Morris as grand marshal. It was led by the Putnam Horse Guards, followed by the First Regiment, National Guard, Colonel Peckwell: Captain Tipson's Rifle Corps; invalid soldiers from the War Hospital on foot; convalescent soldiers in carriages loaned for the occasion by citizens, and in wagons. Next came a float bearing a Temple of Liberty containing an empty chair. Next came officers and soldiers out of the service, and then the hearse, swathed in red, white and blue, with black and white plumes, drawn by six horses, covered with heavy black palls. The pallbearers walked on either side of the hearse, wearing red-white-and-blue sashes and mourning badges. They were: Marcus L. Ward, William A. Whitehead, James M. Quinby, William A. Myer, Thomas B. Peddie, Beach Vanderpool, Joseph Ward, Samuel P. Smith, John A. Boppe, Dr. Fridolin Ill, Cornelius Walsh, Moses T. Baker and Frederick Mulsthoff. "During the march, the tolling of the bells, the booming of the minute guns, the steady tramp of the mourning multitude, the melancholy flapping of the muffled flags, the somber appearance of the buildings, and the sad faces of the immense and quiet throngs which filled the streets, the balconies, the windows, and clustered even upon the housetops, all assisted in composing a scene of such real and extensive woe and mourning as this city has never witnessed." When the procession arrived at Military Park, Marcus L. Ward became chairman of the great meeting. There was a prayer, the singing of a hymn by a local German singing society, and an eloquent funeral oration by Frederick T. Frelinghuysen. The ceremonies closed with the singing by the vast throng of "Praise God From Whom All Blessings Flow." The body of the martyred Lincoln was moved by train from Washington to Baltimore, Harrisburg, Philadelphia, across New Jersey to New York; thence to Albany, Buffalo, Cleveland, Columbus, Indianapolis, Chicago, and thus to Springfield, Illinois. A great part of the way it passed, literally, between dense throngs of mourning American. It became so manifest, the day before the cortege passed through Newark, the crowds were to be very great, that the superintendent of schools, George B. Sears, issued an announcement that the public schools would not be closed on tat day for fear that many children would be injured. The announcement closed with this sentence: "If children attend, their parents will take the responsibility." The funeral train passed through Newark on the morning of April 24. "Shortly after 7 o'clock this morning," reported the Daily Advertiser, "crowds of people began to gather upon Railroad Avenue, between Market and Chestnut Streets, and soon not only covered the entire street, but all the adjoining housetops, sheds and windows. A feeling of deep sorrow appeared to pervade the entire mass, while the fluttering of black trimmings from the neighboring buildings, the mourning badges upon the coat or mantle, and the other tokens of grief, gave an unusually somber cast to the scene. "Shortly before 9 o'clock the members of the Common Council, city officers, clergy, a detachment of the Veteran Reserve Corps and the city police, took possession of the Market Street Station, and, after removing the crown, awaited the arrival of the train, whose approach had been announced by the arrival of the pilot locomotive heavily draped in mourning. Its appearance was heralded by the tolling of bells and the firing of minute guns, and as the train with the remains passed slowly along the avenue, heads were uncovered and bowed with reverence, many persons shedding tears. "The cars remained at the depot only a few minutes and then proceeded to Jersey City, passing large numbers of people who had gathered at the various street crossings, and the Centre Street crossing, and East Newark.